The 1 hour 15-minute performance will combine poetry, singing, storytelling and chanting in Tamil and English, Bharatanatyam dance and image with paintings culled from ancient texts. After two successful shows in Mumbai and Kolkata, the Bhakti Collective is bringing reverred Tamil mystic Andal to Delhi stage. The musical presentation of the extraordinary life, love, and longing of the 9th-century Tamil rebel and mystic poet, Andal, by the Bhakti Collective comprising theatre actor and Carnatic vocalist Akhila Ramnarayan, National Award-winning choreographer-actress Anita Ratnam and cultural curator and singer Geeta Gopalakrishnan will take place on 9 February. The 1 hour 15-minute plural production at Diwan-I-Aam of The Taj Mahal Hotel in New Delhi will combine poetry, singing, storytelling and chanting in Tamil and English, Bharatanatyam dance and image with paintings culled from ancient texts. “This presentation is an act of faith in Andal’s wisdom and passion to speak to contemporary audiences who themselves are questors. Her extraordinary life and songs containing traditional cultural practices with timeless philosophy are woven together for urban audiences,” says the Bhakti Collective. After covering costs of organising the event, proceeds from the fund raiser will go towards the aid of underprivileged children with cancer at Tata Medical Centre in Kolkata. 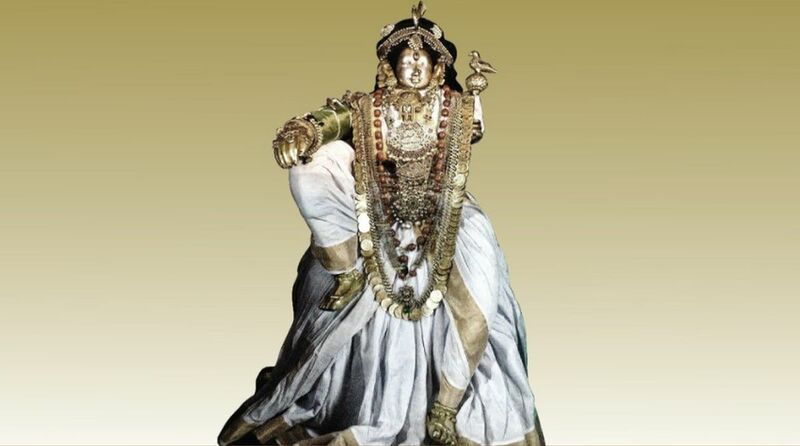 Andal, also called Godadevi, was one of the 12 Azhwar saints of Vaishnava tradition. Active in the 9th century, the only female Azhwar is known for her great Tamil poetry. Her mystical songs have been sung through the centuries. Called a rebel who questioned gender roles and sexuality, Andal was a teen icon who is also considered a goddess. The mystic is said to have ignited the path of bhakti, love and wisdom for seekers from every walk of life.